Downtown Troy | A Unique Cultural Destination and the perfect backdrop for the American Music Festival. 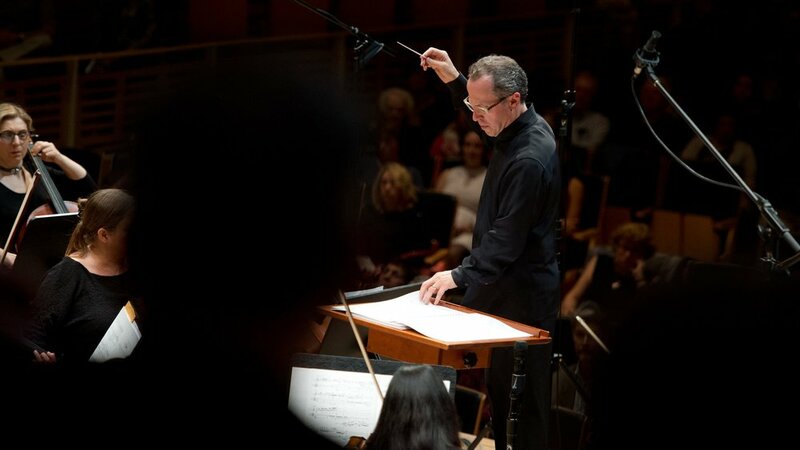 Experience orchestral music like never before at the American Music Festival. Whether you’re a music aficionado, a casual listener, or simply culturally curious, the American Music Festival in Troy, NY is a perfect weekend getaway for you to explore and enjoy. It’s a bold escape into the music of our time. It’s innovative. It’s uniquely spirited. Not to mention, Troy is an easy drive from New York, Boston, Philadelphia, and Montreal. A genre-bending ensemble that blends the power of popular culture with the finesse of a chamber orchestra. The Argus Quartet returns to the American Music Festival to perform David Del Tredici’s stirring piano sextet, Bullycide. Two American Vanguard composers, David Del Tredici and John Corigliano team up with David Alan Miller to perform and record two contemporary masterpieces. 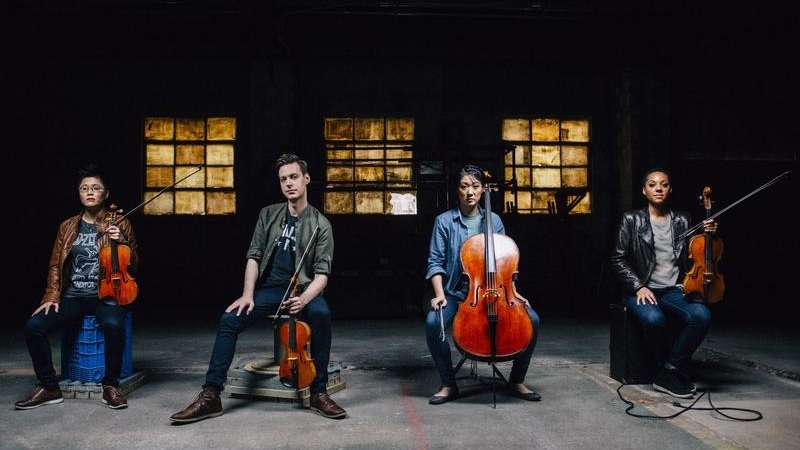 In addition to the Dogs of Desire, Argus Quartet, and the Albany Symphony, you can hear 55 new or recent works by 38 composers, including 27 world premieres. Plus, FREE concerts, under the stars on June 6-9, 2019. Set on the edge of urban revival, Troy is home to 120 unique boutiques, art studios, cafes, breweries, and restaurants and is the perfect backdrop for the American Music Festival. Take a stroll along the Hudson River in Troy Riverfront Park and explore the official “Home of Uncle Sam” on a guided history tour with the Rensselaer County Historical Society. Grab a cup of coffee (or a New York Craft Beer) and challenge your friend to a game of Clue (or 1 of the 599 other games) at Bard & Baker, Troy’s first board game cafe. Don’t forget to visit the gallery at the Arts Center of the Capital Region on River Street. If you’re a “foodie” with an appetite for local fare, Troy is home to some amazing restaurants. Start your day with breakfast and mimosa’s at the Troy Waterfront Farmers Market, then pair your Festival experience with a fine glass of wine and small plates at Lucas Confectionery. If seafood is more your palette, Plumb Oyster Bar’s Happy Hour is a sure bet. Can you say $1 East Coast Oysters? If Beer and BBQ is more your style, Browns Brewing Co. and Dinosaur BBQ are local favorites. Not to mention, their waterfront patios are amazing. Are you looking for a Downtown Hotel? Or is an historic Bed & Breakfast more your style? Troy is home to small family owned B&B’s and luxurious contemporary hotels. Book the Courtyard Marriott Waterfront Hotel in Downtown Troy, the cities newest hotel and receive a special discount with your Festival Pass. We will even have your concert tickets, festival passes, and program books waiting for you on your pillow. Call the Courtyard Marriott (518) 240-1000 and reserve your room today. If you can’t find what you’re looking for in Troy, stay in Downtown Albany — only a 15 minute drive away! 15 minute drive from the Albany-Rensselaer Train Station with daily arrivals from NYC, Boston, Montreal & beyond. 15 minute drive from the Albany International Airport with 54 daily arrivals from major U.S. cities and airports. At the intersection of I-90, I-87, and I-88, Troy is within an easy drive from cities in Canada, PA, MA, and NJ. 15% discount off the regular (full) adult rail fare on Amtrak within New York State on selected service routes. The Albany Symphony’s 2019 American Music Festival, Sing Out! New York frames two anniversaries: the centennial of the passage of the 19th Amendment that gave women the right to vote, and the 50th anniversary of the Stonewall Uprising, a turning point for LGBTQ rights. Sing Out! New York draws inspiration from these events to tell the stories of the heroic figures, milestone events, and great passions behind New York’s leading role in championing equal rights. While the main events of the Festival will take place here in the Capital Region, these two special previews will connect Sing Out! New York to the historic sites central to the women’s rights movement and the LGBTQ rights movement and their fight for equality and justice for all people. We hope to see you at these inspiring and exciting previews! The iconic June 28, 1969 Stonewall Uprising was a catalyst for the LGBTQ rights movement, awakening a new era in LGBTQ political activism. In 2016, the Stonewall National Monument, which comprises the Stonewall Inn, Christopher Park, and the streets where the events of the Uprising occurred, was designated as the 412th national park and the first to commemorate LGBTQ rights and history. We will begin the day at the Stonewall National Monument in Christopher Park, enjoy a command performance of David Del Tredici’s Felix Variations for bass trombone featuring David’s nephew, legendary bass trombone virtuoso, Felix Del Tredici, and hear David’s reminiscences about his early life as a gay composer living and working in New York City in the 1960s. It was at Seneca Falls, at the Conference on Women’s Rights, on July 19-20, 1848, that Elizabeth Cady Stanton, Lucretia Mott, Frederick Douglass, and others met for the first time in American history to formally affirm the audacious idea that women deserve the same rights as men. We will relive that glorious moment in New York State’s history: touring the National Historic Site and legendary Wesleyan Chapel with the Park’s rangers; having a talk with a brilliant Harvard professor and human rights scholar, Kathryn Sikkink; exploring the town, including the Women’s Hall of Fame; and enjoying an unforgettable, suffrage-themed performance by the four brilliant young singers of the IAMIAMIAM collective from the Bard College Vocal Arts Program in the Wesleyan Chapel, the very room in which the original Conference of 1848 took place. Learn more about the 2019 American Music Festival here and stay tuned for more details!